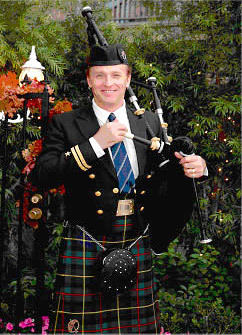 The "Weekend in Paradise Bagpipe School" is be held annually in the summer and often mini-camps are held in in the winter. See the home page for dates and information. \See the School page for more information. Monthly lessons are available on an ongoing basis in the San Francisco Bay Area, San Diego, and Las Vegas. Contact Ian for information. Check back or contact Ian for information about upcoming workshops, concerts, and additional educational opportunities.